Take-Two Interactive, the parent company of Red Dead creator Rockstar Games, is duking it out in court with the Pinkerton Detective Agency — yes, they still exist, apparently. The Pinkerton Detective Agency, who appear in fictional form in Red Dead Redemption 2, issued a cease-and-desist letter to Take-Two, asking for royalties for the use of its name. 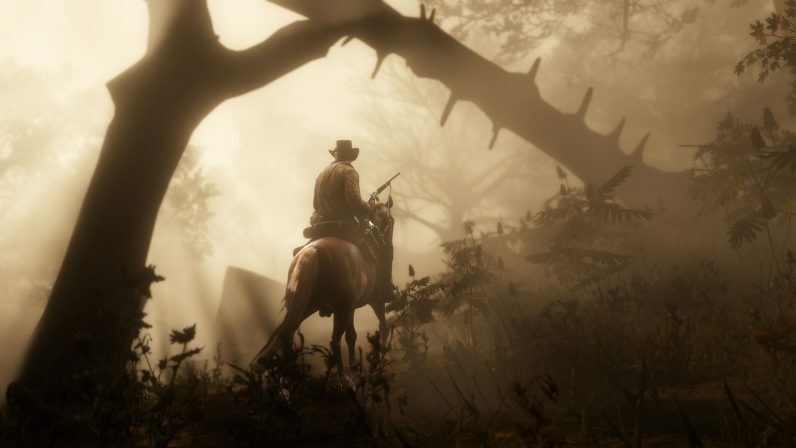 Take-Two has since fired back with a lawsuit claiming fair use due to the Agency’s prevalence in the historical record during the time period the game takes place. You can read the whole of the complaint here. In the game, the Pinkertons, led by Agent Milton, are after the Van Der Linde Gang because the Gang preys on the business of one Leviticus Cornwall, a rich muckety-muck who represents the forces of civilization to the Gang’s glorious, if unstructured freedom. Milton and his goons are the primary antagonists in the game, repeatedly harassing the gang and foiling their plans, with Milton himself personally shooting Hosea, the gang’s collective conscience. The fact they are Pinkertons is in line with what the company are known to have done at the time, acting as private security for large organizations. So if you were going to make a pastiche of real world outlaw tropes and Western historical fiction, then yeah, the Pinkertons would be your go-to goons. The lawsuit also points out the terms is used in multiple works of historical fiction, including The Long Riders and Deadwood. The protagonist of Bioshock Infinite is also a former Pinkerton agent, to keep it within the realm of games. Anyway, according to The Verge, the C&D also claimed the company traded on the “goodwill” of the company’s name by including it (and an agent’s badge) in the game. Not to get too historically political here, but I’m not sure associating your main villains with strikebreaking and anti-union work constitutes the use of “goodwill.” But I’ll give the agency the benefit of the doubt — their avatars in-game are in the legal right (ish), where the ostensible heroes are dyed-in-the-wool outlaws. And, as much as I don’t want to side with the man here, the argument that the Pinkertons should be included in the game merely for being a part of the history of the time might be a bit flawed. Yes, the Pinkertons are a part of the general fabric of early Americana, but so is Mickey Mouse and I would sooner gnaw through a rusty bike chain than try and make that case to Disney’s lawyers. We’ve reached out to Rockstar for comment.